These unique earrings are so cute and a real conversation piece! They are created by me using a fold forming technique. Read how this is done on my "About" page. 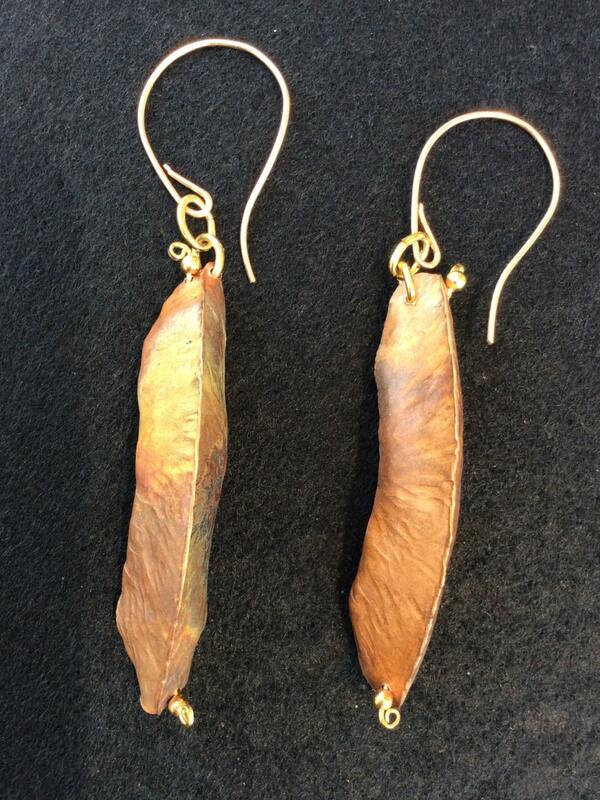 The earwires are 14K rose gold-filled and designed by me. 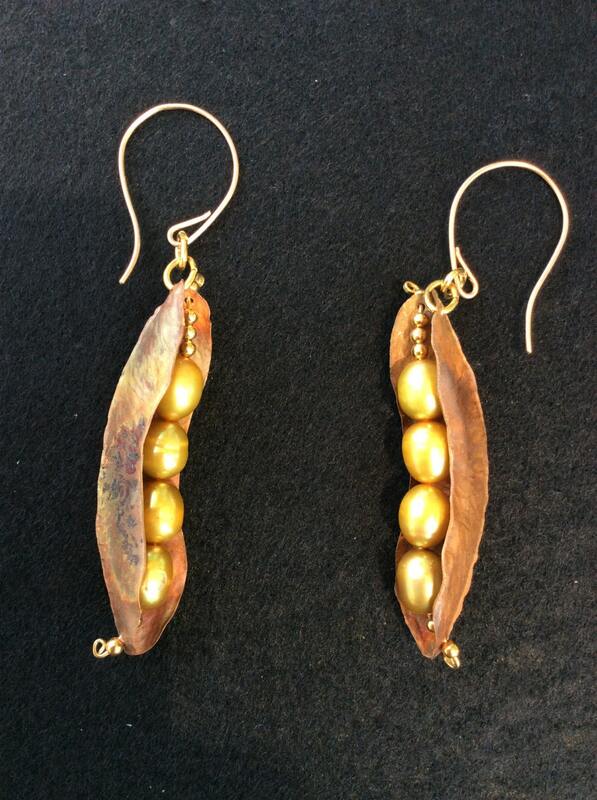 The pearls are sunshine yellow freshwater pearls, and they complement the warm copper color of the metal. 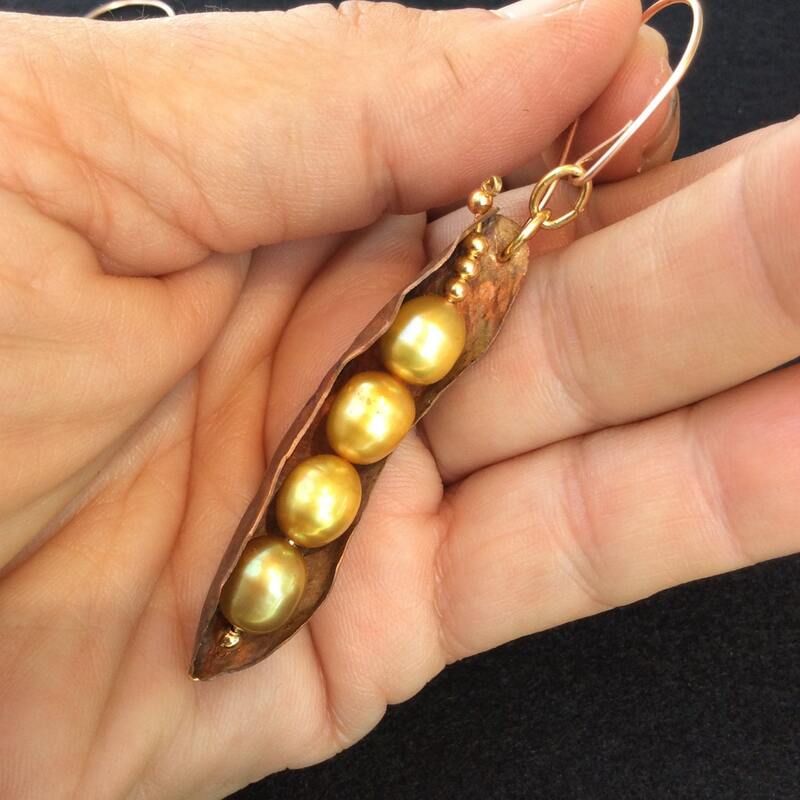 The small beads at either end of the row of peas are tiny brass balls. The copper metal has been flame colored using the torch. A few of the photos show colors of gold or warm yellow, outlines of red, burgundy or dark purple, and burnt sienna (my favorite color in the crayon box!). 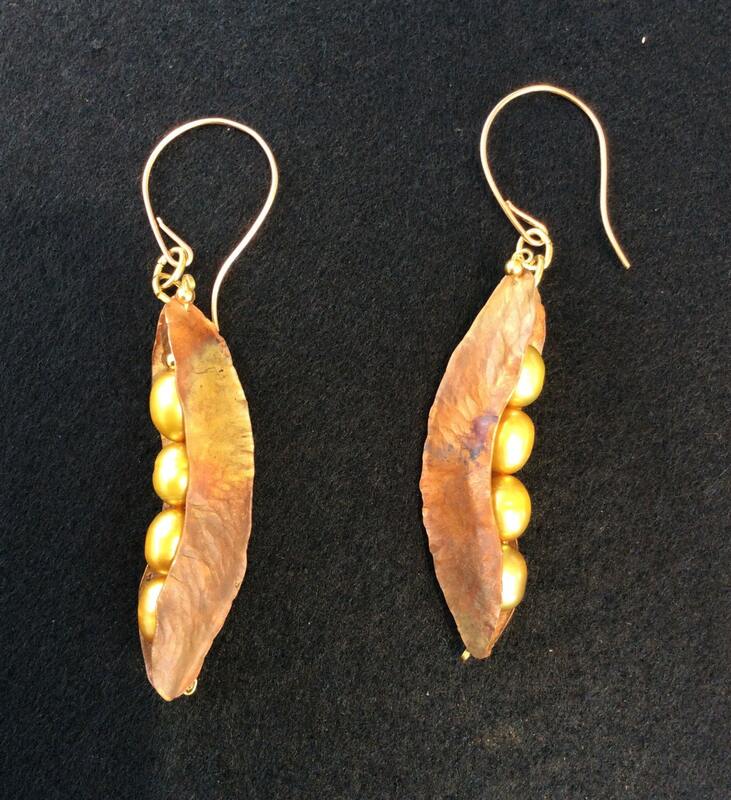 Convo me if you would like these earrings in brass or would like a different color pearl. Turn around time on changing metals is 7 days. Renaissance Wax has been applied to retard oxidation. I will also send you a plastic bag and a piece of paper desiccant to place in the Baggie along with your earrings if you plan not to wear then for a period. The desiccant's purpose is to absorb moisture. 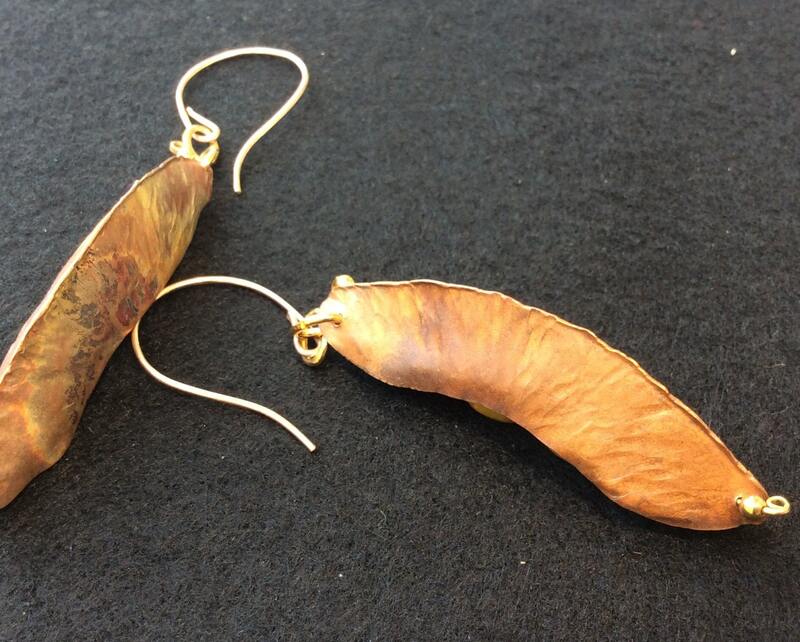 From the top of the earwire to the bottom of the pod measures 3 1/8 ". All of my jewelry ships for free in the US in a lovely black box with a gold elastic tie. If you would like, I can send them to a different address along with a gift note. Simply convo me if that is your wish!